(ZIZ News) — Older persons across the federation will be recognized this October with the declaration of the start of the Month of the Elderly by Minister of State Hon. Wendy Phipps. Minister Phipps in her address said the observance of the Month of Older Persons was designed to achieve specific goals. “1.Explore and challenge negative attitudes and mindsets of aging and older persons. 2. Promote a positive image of aging and older persons. 3. Call for improved data collection, analysis and reporting of age disaggregated data to better understand the experiences, changing need and contributions of people as they age,” she outlined. 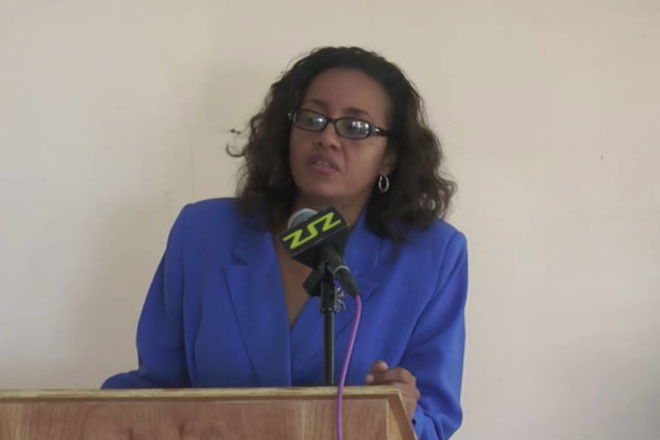 Minister Phipps further appealed to the public to treat older persons with respect. The month of older persons is being observed under the theme “Take a Stand against Ageism” with the sub theme “60 Plus Counts”. Activities to celebrate the month will include a senior march, a senior citizens movie day, distribution of food hampers and a senior citizens gala.